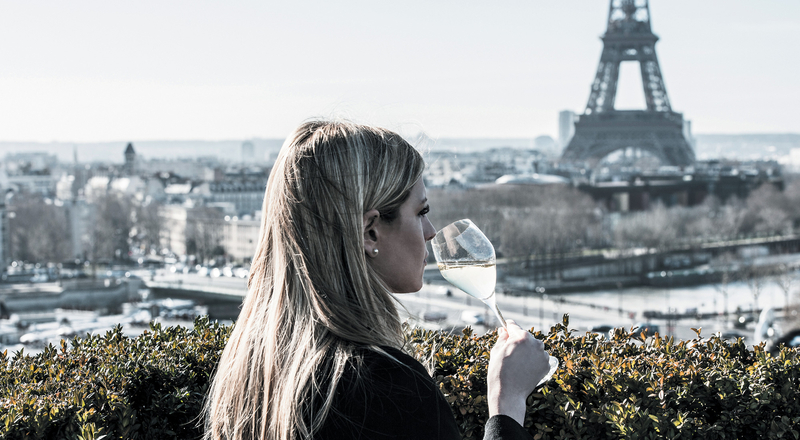 After the success of its last edition, Krug champagne is back in the French capital for an exquisite voyage of the senses called “Krug en Capitale”. One of the landmark events organized by the French champagne House, “Krug en Capitale” blends gastronomy, design and music in an unforgettable series of evenings. This year’s edition runs from April 9 to April 23 at the emblematic Parisian hotel Plaza Athenée. Located at the heart of the 8th district on the iconic avenue Montaigne, the hotel, currently undergoing a complete makeover, is a true symbol of French hospitality and fine gastronomy. Each evening 14 guests will have a unique opportunity to discover the cuisine of renowned French chef Alain Ducasse, who has earned three Michelin stars at three of his restaurants. The distinguished culinary master, known for his excellence, originality and attention to detail, has created a unique menu highlighting the many generous flavors of the Krug Grande Cuvée champagnes. The event scenography was created by NY based Sébastien Léon, an accomplished designer, musician, composer and sculptor. Known for his contemporary art installations involving music and sculptures, the French artist drew inspiration from the atmosphere, history and esthetics of the palace to create the concept behind the guests’ journey. From the lobby to the top floor suites and terrace of the Plaza, participants in this special evening will be treated to a refined blend of artistic elements, a true symphony dedicated to Krug.